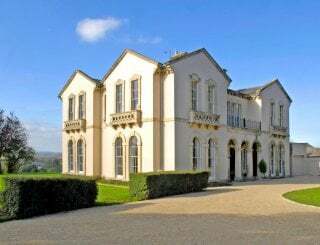 Cossington Park, Cossington, Bridgwater, Somerset, sleeps 6-18 in 9 bedrooms. 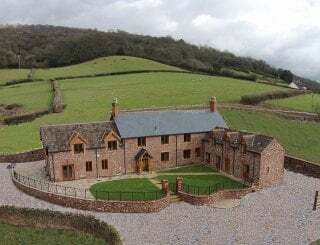 At the heart of one of England's finest tourist locations, Park House is available on a self-catering basis for families, friends, reunions, and as a retreat and film set. 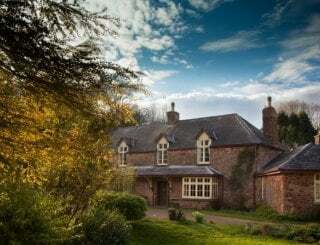 Park House sleeps up to 16 in 6 beautifully decorated bedrooms (with 3 sofa beds for extra guests) and is set in 22 acres of superbly maintained gardens and grounds and it is rated five stars by VisitBritain. 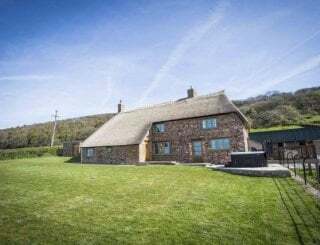 Park Cottage, with 3 bedrooms sleeping 6, is also available for larger groups. One of the bedrooms is on the ground floor along with a bathroom. The house and gardens are looked after by a dedicated and caring team and we pride ourselves on providing exceptional service. We have the best equipped kitchens of any self-catering property we know. We can suggest some superb cooks if you would like someone to prepare for a special occasion and a wonderful beauty therapist if you need pampering. The ground floor has a number of beautiful rooms for you to enjoy including the Drawing Room, Morning Room and Library Dining Room all opening onto very extensive and peaceful gardens. The rooms are decorated with antiques and unusual pieces like the dolphins in the Library fireplace, which were the wheel supports of The Devonshire, one of the ships captained by owners Grandfather, rear-Admiral Cathcart Romer Wason. The large, farmhouse-style old kitchen, breakfast room and laundry all have modern conveniences to make your stay enjoyable, but are filled with all the character that make this house so special. The 6 luxuriously furnished bedrooms are all individually decorated and unique with 5 double rooms (one king) and 1 twin room. Our beds have high quality middle-firmness mattresses and are made up with luxury cotton sheets and soft duvets; every bed is supplied with a generous bundle of soft white towels. We do everything to ensure that your stay is relaxing, enjoyable and memorable. We will visit soon after your arrival to make sure that you can find everything you need and to show you how things work. We provide a generous welcome hamper of local foods. We pride ourselves on our well-equipped kitchens, which include a large range induction cooker, microwave/electric oven and two dishwashers. The Library Dining room has a large, American antique oak table and oak spoon-back chairs, with seating for 22. Perfect for celebratory dinners. There are two rooms to relax in, the Drawing room and Morning room. SKY TV, video, iPod Docking Station, Wii console. Table tennis and darts in the old stables. Library has 5000 books, card tables, games, TV and Wii console. Outside - football, badminton, croquet. Central heating and log burners. 5 doubles, 1 twin. 2 single sofa beds on Pooh Corner plus an extra double sofa bed in Chaucer and 3 put you up beds for extra guests. Five bathrooms with showers and baths including Great Tom is an affectionate name for the large Victorian rolled-top bath. Please let us know if any member of your party has special needs, our access policy is available on the website and we will help in any way we can. Children most welcome. We have a toy cupboard, board games, games field, play area with wooden play house, Sky, WiFi, Wii console, iPod dock. 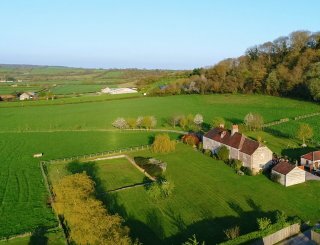 Set in 22 acres with beautifully maintained gardens. For the active we also have a grass area for football, basketball and other ball games. We do accommodate well behaved dogs. 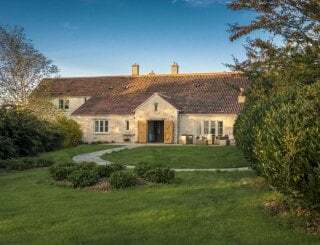 Park House is located in the pretty village of Cossington in Somerset, on the edge of the Polden Hills and the Somerset Levels. Local villages, Bridgwater, Street, Glastonbury, Wells and Taunton. 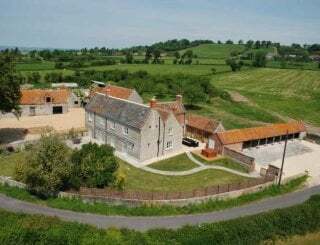 5 minutes walk in the village of Cossington; many other in the surrounding towns and villages. 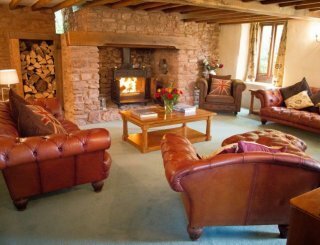 The price varies depending on the season and the number of nights booked, but as a guide prices start from £1295 for three nights midweek. Sleeps 16. A refundable security deposit will also be required. Bus stop outside front door of Cossington Park; buses to Bridgwater and Glastonbury/Street.